010-africa-travel-photographer-senegal-2008_9513-irene-abdou-photography.jpg | Irene Abdou Photography, LLC - Travel. Lifestyle. Documentary. NGOs, Development & Public Health. 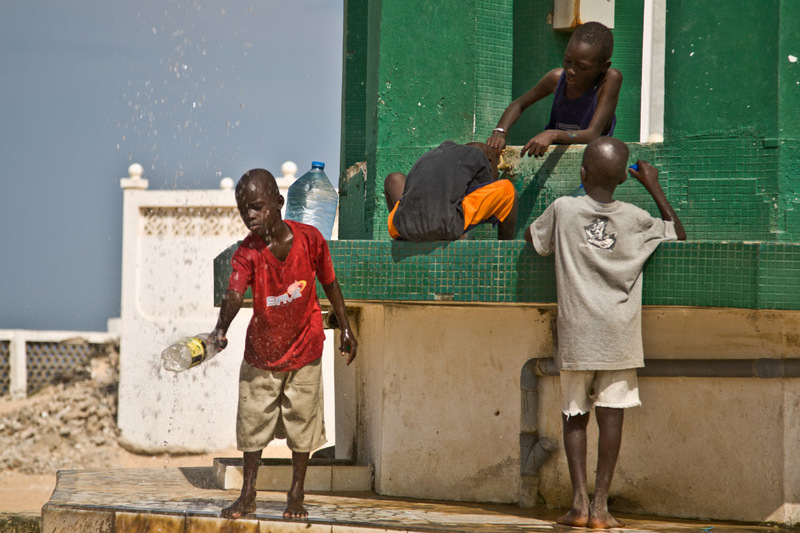 Children wash at the well of Diamalaye (zem-zem holy water) in front of the Seydina Limamou Laye Mausoleum, which sits on the coast of Senegal in the fishing village of Yoff. Seydina Limamou Laye (1843-1909) was the founder of the Layne (meaning "partisans of God") brotherhood.